What can Microsoft partners do differently in 2018 to make a business breakthrough? We put that question to 16 top experts, including ARLIN SORENSEN, VICE PRESIDENT, PEER GROUPS, CONNECTWISE. For more tips on finding success in the Microsoft channel in 2018, read our full Marching Orders feature here. When I think about the most important piece of advice I can offer, it is the importance of defining two key numbers. These are the financial success metrics of personal and business legacy and, unfortunately, too many do not focus here until far too late in their journey. Every person needs to define their personal wealth target (PWT) or the number they need to accumulate during their working career that enables them to live their ideal life after they receive their final paycheck. If you are a business owner, there is a second number that matters called business value target (BVT), or the number you need to create in business value to provide the outcome shareholders expect and need. In most cases, the outcome of business value is what flows into an owner's personal wealth and will hopefully provide the dollars to close the gap between where an individual is today and where they need to be in the future. For most business owners, their portion of the company BVT needs to be enough to close the gap, as they have typically put all their eggs in that basket for their future. Too many wait far too long to define these two key numbers and create a strategy to assure they achieve them. That's what HTG is helping shine a light on and provide accountability and strategy to assure legacy success. Arlin Sorensen is vice president of Peer Groups at ConnectWise. 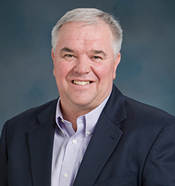 Sorensen was the founder of Heartland Technology Groups (HTG), which served more than 600 members from 500 unique companies in North America, Europe and New Zealand. ConnectWise acquired HTG in January.